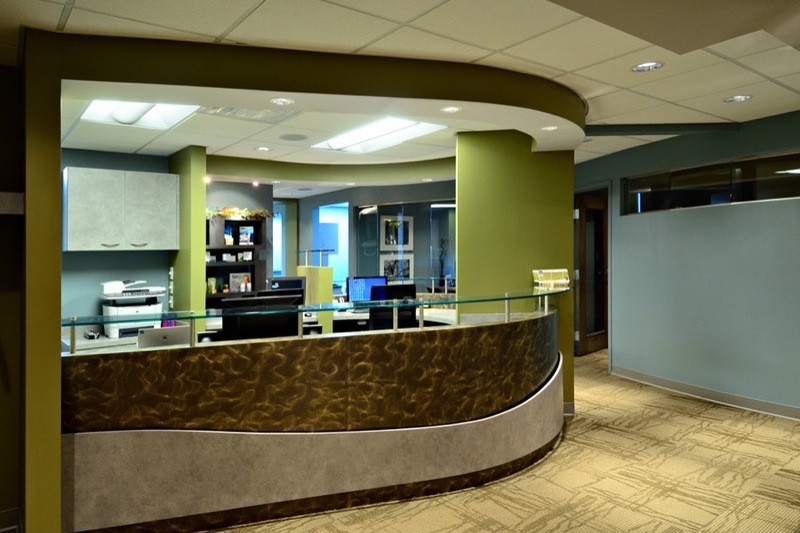 Dental office construction can be pricey, and one of the costliest overlooked details is often the cabinetry. 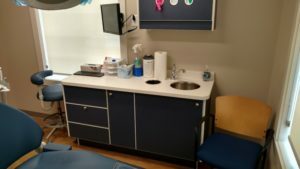 When maximizing ergonomic design, IT requirements and specific dental equipment while still selecting the best materials for a high functioning operatory, the overall cabinetry expense adds up. Yet, after being in practice for over 24 years, Martin Layman, DDS knows the best cabinetry can actually be affordable. 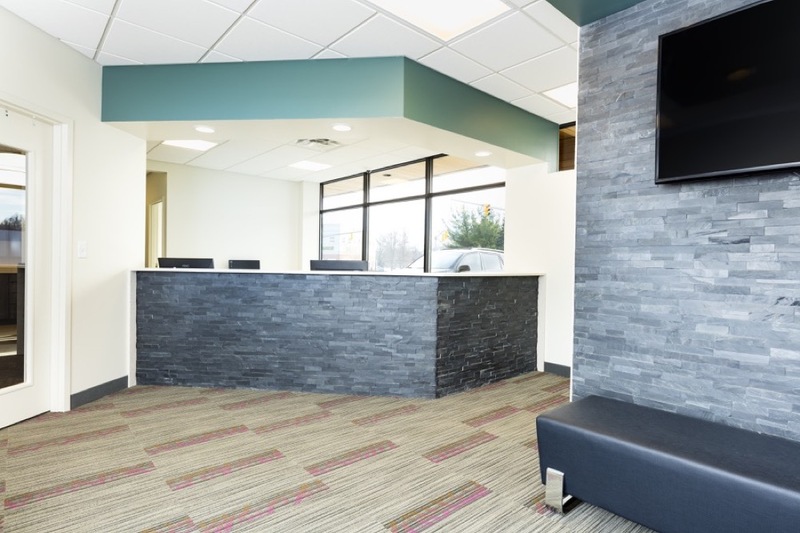 When deciding to expand his dental practice by purchasing a 4,500 square foot bank building across the street from his original Streetsboro, Ohio location, Dr. Layman planned for a total renovation requiring extensive cabinetry needs. 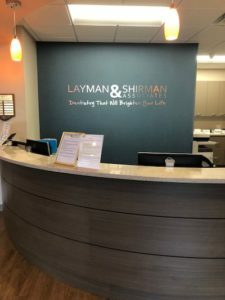 “The business of dentistry is a very specific industry — there are aspects in a dental office you wouldn’t even think of,” explained Dr. Layman of Layman, Shirman & Associates. “All of the treatment rooms have special plumbing to accommodate sedation, evacuation and high-pressure air lines. The cabinetry has to satisfy these elements, in addition to all of our operatory equipment. 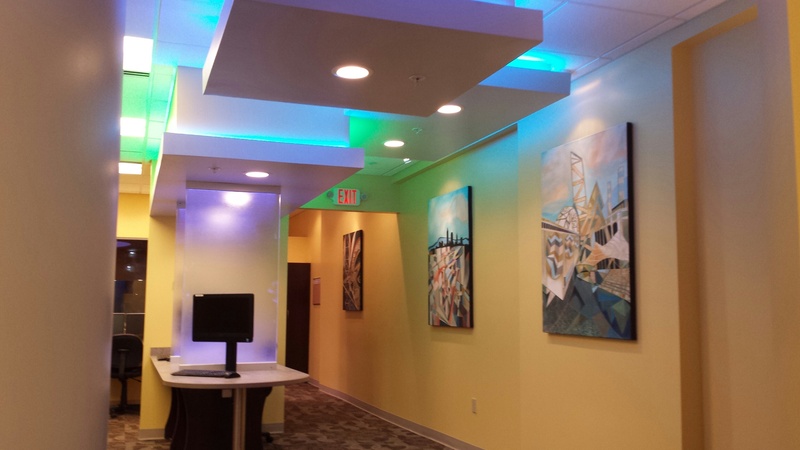 “We needed a contractor that understands the dental industry and also be creative in how they approach our needs. W. J. Miller Builders was by far the most detailed and organized in terms of presenting a written plan with specific ideas of what and when project details would happen and approximate costs,” he said. 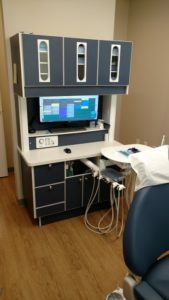 With an established dental practice beginning in 1994, Dr. Layman had previously invested in top of the line cabinetry from a national dental equipment vendor. Because the cabinetry purchased was in good shape much of it could be reused in the new location, but not without challenges. 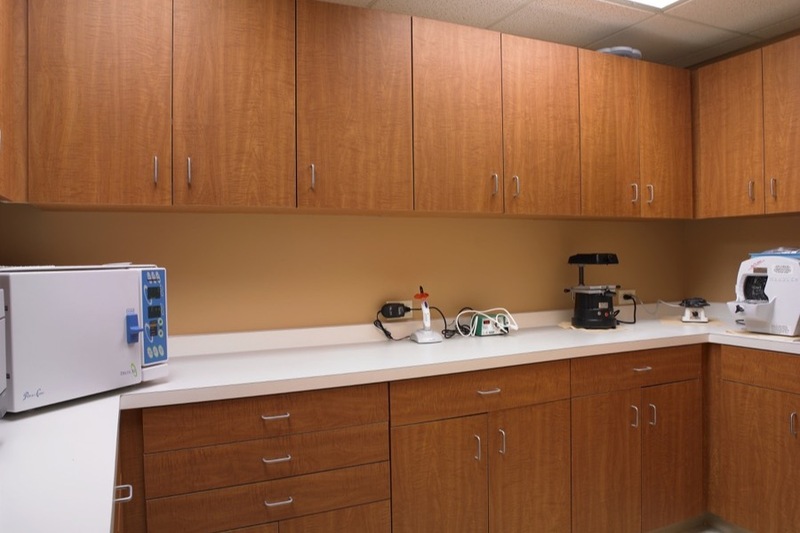 “Technology had changed [since purchasing the previous office cabinetry] and some of the pieces had to be renovated to accommodate new equipment,” Dr. Layman stated. In addition to addressing the cabinetry needs of nine operatories, Miller Builders designed and produced custom solutions for lab and sterilization areas, private office spaces, kitchen and a comprehensive reception desk complete with ‘check-in’ and ‘check-out’ stations. 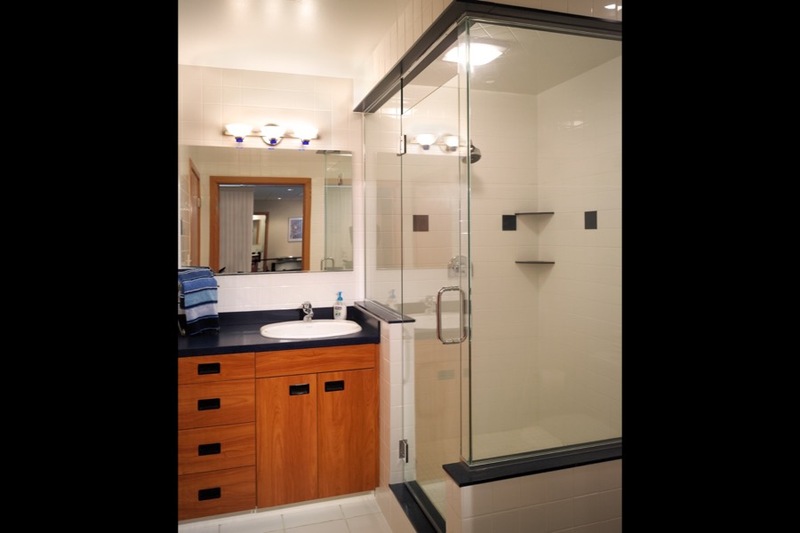 Delivering cabinetry perfection is something Mike Miller, the third generation of Miller Builders, takes pride in. With a full in-house custom cabinetry facility equipped with computer-aided design (CAD) software, which governs computer numerical control (CNC) machines, Mike can present a full variety of options for every office space. “With AutoCAD, we have a library of woodworking capabilities that allow me to draw something for presentation and fabrication,” said Mike. “Our in-house shop has a quality control aspect that allows me to immediately address any issues with size discrepancy or space limitations. With a couple of key strokes, I can fix the problem while saving time and money. The “mom and pop shop” advantage extends significantly in price due to Miller Builders selling directly to their clients. Comparatively, a national dental equipment vendor does not manufacture cabinets. The cabinetry is pre-manufactured (or outsourced) from a separate company and must go through several layers of distribution to reach the end user — and each layer adds to the cost. “Pre-manufactured cabinetry is divided into market territories throughout the country, where it is then handled by a territorial representative or manufacturer sales person before being offered through a local distributor [the dental equipment vendor], and with each entity, the price is going to be marked up. By the time it’s actually sold to the end user, it’s a considerably higher price,” said Mike. “If we’re building within our working radius, were going to save our client money because we have the ability to manufacture and deliver directly to them and preform a complete onsite installation. “Because of our approach, we can save our clients up to 50 percent what a pre-manufactured cabinetry system would cost,” Mike stated. 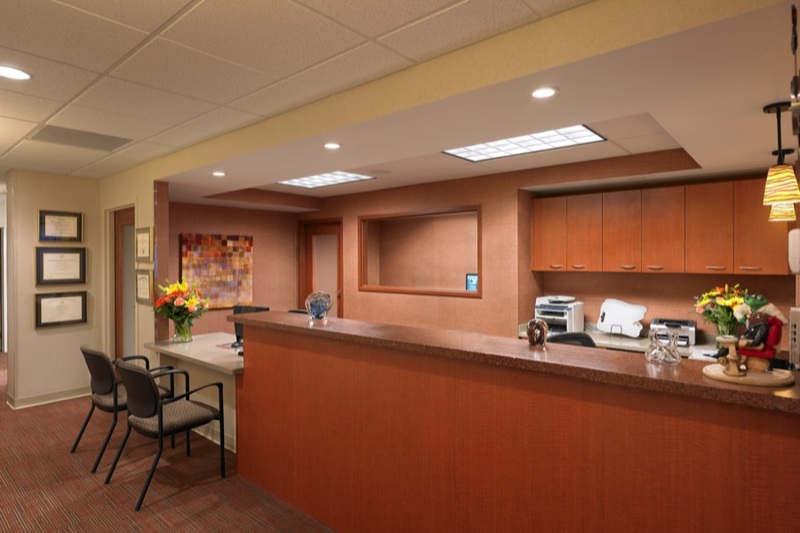 The difference Miller Builders made for Dr. Layman’s cabinetry and construction needs were night and day compared to a contractor he used for his previous office renovation. And he couldn’t have been happier when his office opened on schedule and on budget. “Working with a company that actually understands the expectations of building a dental office makes everything much easier,” he said.